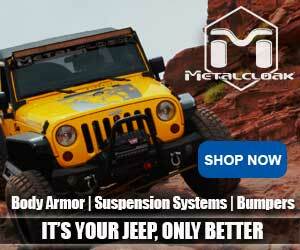 WE BELIEVE PATRIOTISM LIVES IN OUR OFF-ROAD WORLD! We have finally learned the secret to why backcountry motorsports enthusiasts love the sport so much . We can now wrap our arms around the magic that keeps us all working on our machines and hitting the trails, dunes, deserts and mountains. It is merely about freedom. It’s all about access to the heritage of freedom that has been fought for so hard in our country and overseas. It is a fundamental component of patriotism. As authors, we’ve struggled for some time trying to “label” the passion, devotion and commitment many of us have to our motorized conveyances. We know now, that was the wrong approach; it’s not the machine; it’s what it gives us. It’s about the freedom. ModernJeepers know this passion well. There is no doubt that the good old U.S. of A has some marvelous and spectacular scenery, coupled with a vast array of historical cool stuff to see. But it is the freedom we have to explore that gives us that opportunity to enjoy all these things. Our machines take us to places that give each of us a sense of our own heritage and freedom. 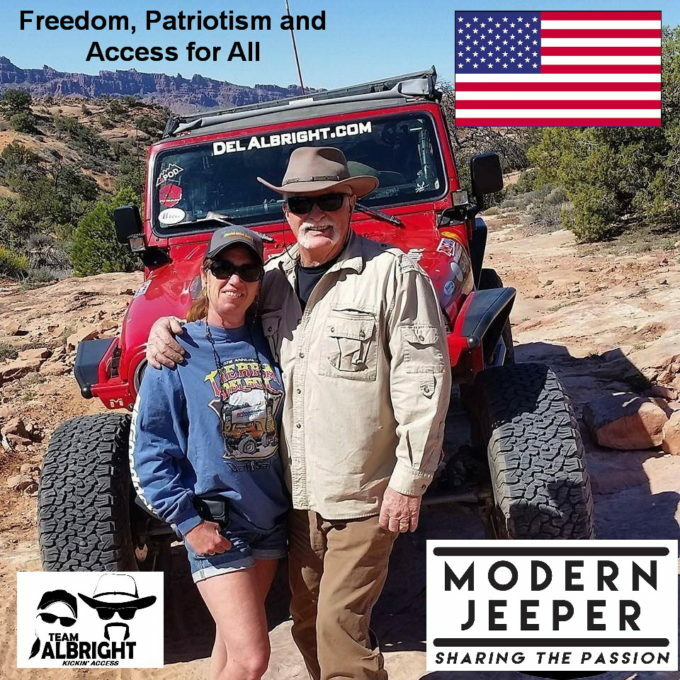 Del & Stacie Albright, ModernJeepers and Freedom Fighters! 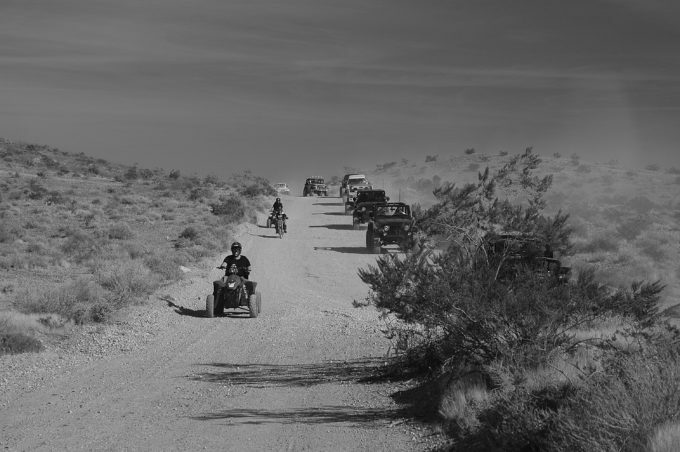 Recently we were cruising in our Jeep, sharing some trails in a southwest desert with ATV’s, dirt bikes, side by sides and dune buggies. We were all breathing the same dust; admiring the same blue skies; loving the volcanic tableland of the high desert; and just plain relishing the camaraderie that accompanies users of the great outdoors. It mattered not what someone was driving/riding; it was that we were all out to treasure our heritage and righteously enjoy the freedom we have fought for and earned. 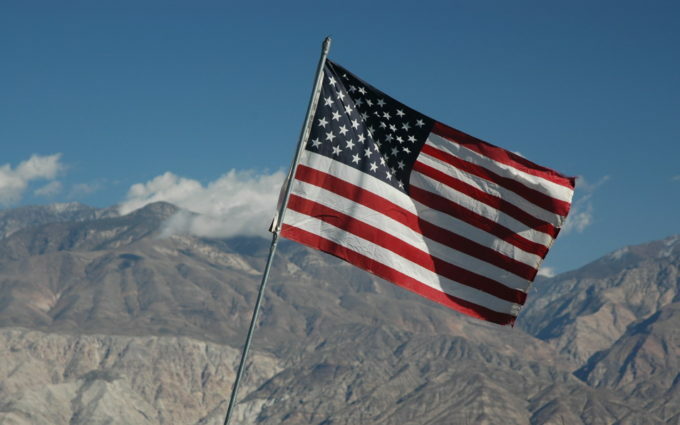 Patriotism by definition is best described as having a “devotion” to one’s country; supporting the cause of independence. Well, there you have it. That’s us. We are patriots. Yes, we do all these things responsibly; that goes without saying. But no matter how you cut it; it’s still about getting out there and doing it – the way you like it! It’s about access and it’s about freedom. An important part of the outdoor passion for freedom is having the ability to share these things with our friends and family. Passing on the heritage and history of our country and responsible outdoor recreation is a big part of what we do and why we do it. There is nothing like seeing a kid’s eyes light up after a gnarly hill climb; or seeing a child give a big thumbs up while safely strapped in the back of a bouncing rig. It is also the reason we fight so hard to help keep what is left of our public land and trails open so that we can all get out there and enjoy ourselves. We are all about access and we must never forget the freedom and liberty that has been fought for by so many and when we are out there sharing the trails; sharing the dust; the scenery; etc. Just remember it’s all about independence. Just picture John Wayne riding off into the sunset. It’s a passion; it’s our American way of life; it’s how we express our off-pavement patriotism. We are freedom fighters and by God, let no one stand in the way of our access to our heritage. Stay in the game with us and keep up the fight. Join groups and clubs that make sense to you.